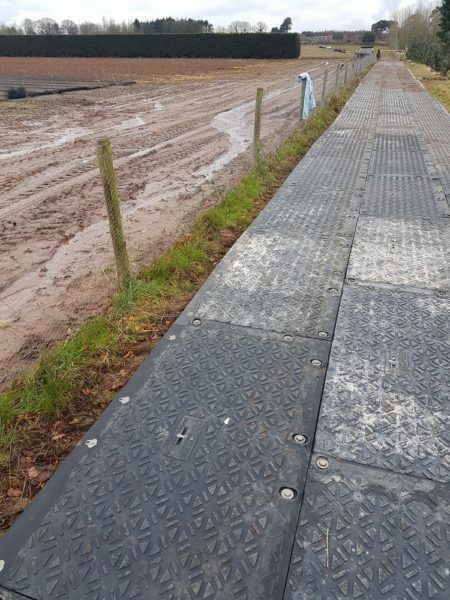 Drilling investigation work taking place across a sensitive forestry site in Cheshire required the creation of a temporary access road that would need to be 1.4km in length. Dumper trucks, drilling rigs and light commercial vehicles would be using this road over a 12 week period, and so any solution needed to be robust and secure, without causing any damage to the ground underneath. 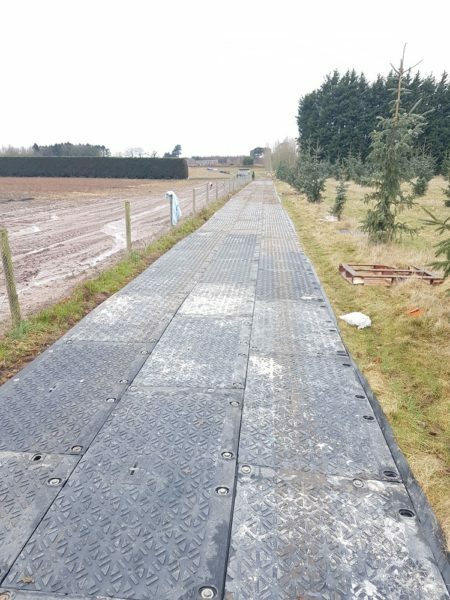 We designed a hybrid solution featuring our two best performing heavy duty mats – MaxiTrack and MultiTrack – that would connect neatly and cater for the soft, undulating ground. 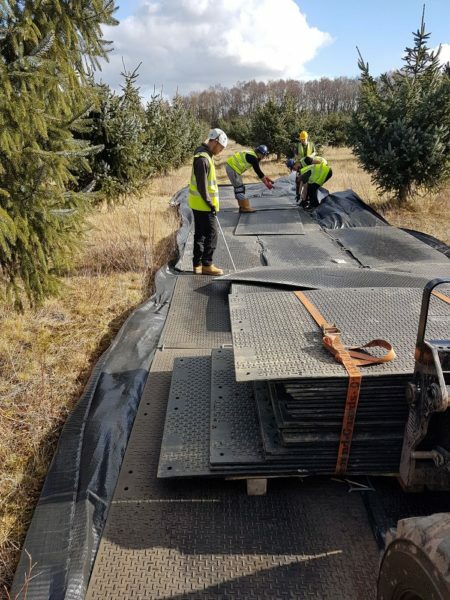 The mats, both extremely portable, lightweight and easy to manoeuvre by hand, were laid quickly and neatly without the need of any expensive lifting equipment. 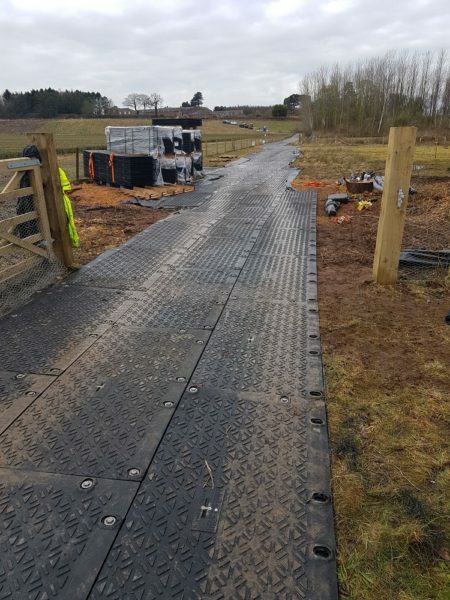 The finished trackway, with staggered joints for extra strength, incorporated over 1,600 mats. This tidy, highly functional temporary roadway enabled quick, easy access to the work project. The client was delighted with the installation and the speed of response.